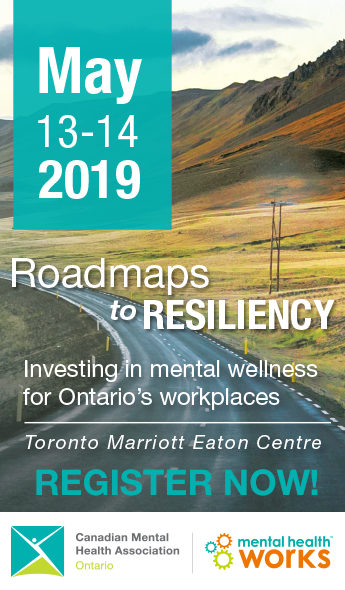 The Canadian Mental Health Association, Ontario is a provincial association, committed to improving services and support for individuals with mental illness and their families, and to the promotion of mental health for all Ontarians. My name is Michelle Gold, Senior Director of Policy and Programs with CMHA Ontario. With me is Pam Lahey, community mental health analyst. Poverty has a devastating impact on quality of life and can lead to poor mental health. Evidence indicates that poverty and the material and social deprivation associated with it is a primary cause of poor health among Canadians. People may experience economic hardship as a result of a variety of difficult life situations, such as job loss or family dissolution. The resulting lack of monetary resources creates not only low income, but poverty in other essential resources such as housing, education and employment. As a result, quality of life is compromised, impacting one’s mental health. In particular, depression and anxiety often follow this route of stress and strain. For people who are predisposed to mental illness, losing stabilizing resources, such as income, employment, and housing can increase the risk factors for mental illness and relapse. Experiencing a mental illness can interrupt a person’s education and career path and result in diminished opportunities for employment. Lack of secure employment, in turn, affects one’s ability to earn an adequate income. As a result, people with a mental illness can remain in chronic poverty. We are encouraged that the Government of Ontario has proposed a bill which will enshrine poverty reduction efforts in law. CMHA Ontario is proposing several amendments to existing sections of the bill, as well as recommending additional clauses to address key omissions, thus strengthening Ontario’s goal to reduce poverty. CMHA Ontario is pleased that the preamble to Bill 152 establishes a vision that guides the current and any subsequent poverty reduction strategy. This vision can be broadened to ensure that “every person has the opportunity to achieve his or her full potential.” This can be guided by a vision for a poverty-free Ontario. Consistent with Ontario’s plan to measure progress in reducing poverty as detailed in ‘Breaking the Cycle, Ontario’s Poverty Reduction Strategy,’ and the fact that the consultations and targets referred to in this section are a requirement as set out in Section 3, we recommend an amendment so that the language of the preamble signifies the Government’s obligation to act to reduce poverty. (c) report annually on the success of the strategy. CMHA Ontario is pleased to see that Ontario’s poverty reduction strategies must recognize the heightened risk of poverty among people with disabilities. Evidence indicates that individuals with disabilities, including those with a serious mental illness, experience more poverty and for longer periods of time than Ontarians who do not have a disability. A significant number of them receive income support. An overwhelming number are adults; in fact, 86% of the Ontario Disability Support Program caseload are singles or couples without dependent children. CMHA Ontario believes that adults with disabilities need to be included within Ontario’s poverty reduction strategy. Our recommended amendment to the next section of this bill addresses this broader mandate. Section 2 (2) 7: That a sustained commitment to work together to develop strong and health children,adults, families and communities is required to effectively reduce poverty. CMHA Ontario agrees that a specific poverty reduction target, specified initiatives, and indicators linked to determinants of poverty need to be written into the legislation to ensure that any new or modified strategy is effective. To ensure that these components are implemented, a long-term sustainable funding strategy is also required. Section 2 (3) 4: A long-term sustainable funding strategy. A five year mandatory review of poverty reduction targets is essential if Ontario is to realize progressive poverty reduction results over the long-term. CMHA Ontario agrees that this review should be tied to the review under section 6; and therefore recommends that “or otherwise” be removed from this clause to ensure that a review that includes public consultation be the basis for changes or additions to the province’s targets for poverty reduction. Moreover, progressive targets need to be defined in order to ensure a cumulative reduction in poverty over the long term. Section 2(3) 3: At least every five years as a result of a review under section 6, the Government of Ontario shall establish a specific target for poverty reductionthat represents a cumulative reduction in poverty. Regular reviews are essential to ensure poverty reduction targets remain timely, relevant and effective. We recommend that an independent body of stakeholders be appointed by the Government of Ontario to conduct the review. This stakeholder committee shall include people living in poverty. This will ensure that any new or modified strategies align with the identified needs of Ontarians living in poverty. Section 2(3) 6(2) (a): shall inform the public of the review and arrange for the review of the strategy to be led by an independent body of stakeholders appointed by the Government. Success in meeting the targets will be reflected in a reduction of children, adults and families living in poverty. Government reports which track progress are vital to the success of any poverty reduction strategy and the delivery of such information should not be delayed or protracted. CMHA Ontario also recommends that progress on reducing poverty remain on the public agenda and the government be accountable through reporting to the public through their elected officials. 2(3) 6(2) (c): The review shall take no longer than six months. 2(3) 6(2) (d): The report of the review shall be tabled in the Legislature within two months of its completion. In conclusion, a poverty reduction Act that is able to provide progressive success in reducing the number of Ontarians living in poverty is a vital tool for providing all Ontarians with an equal opportunity to live a better quality of life. CMHA Ontario will support legislative and policy reforms that make these goals a reality.